-Heat resistant spring steel fan. 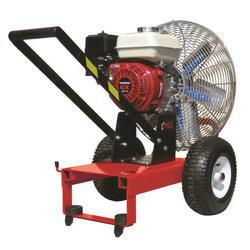 -Stable tote frame with fan guard bumper. -Safety reflective tape on handle. -Protective platform guards fan from drawing twigs and other materials into moving blades.